Following a successful and well-attended kick off event in March looking at DNA, the Paterson Allyn Williams Science Hub will be presenting a lively program of science based activities around Dungog Shire throughout 2019 with support from Inspiring Australia NSW. 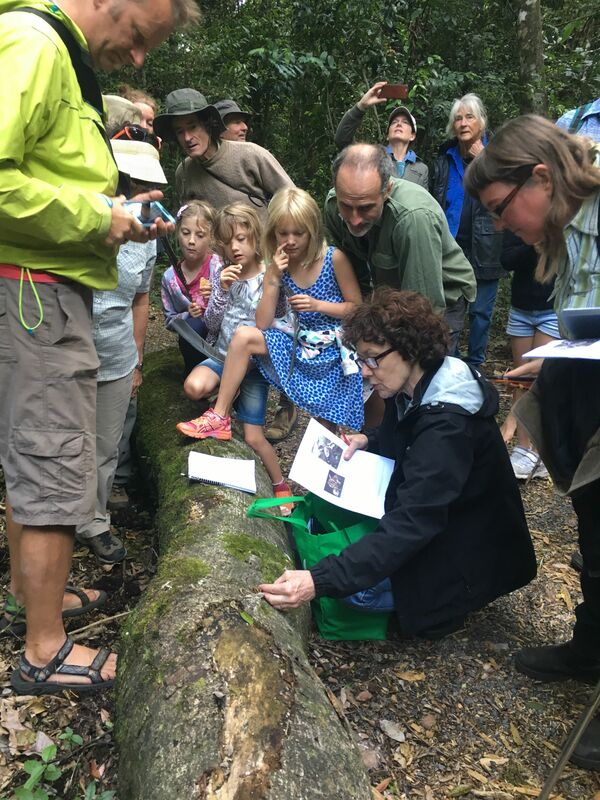 Presented in association with the National Parks Association (HunterBranch), this event provides an opportunity for community members to learn about fungi and participate in a community survey in the picturesque Upper Allyn and Paterson Valleys. This is the second Fungi Foray in the area. The first survey was held last year and this follow-up survey is important to document variations. Fungi are at their best in Autumn. Recent rains and warm weather promise to make this an ideal time to see and learn about a range of these often overlooked organisms, a vital part of our natural ecosystems. There will be experienced and knowledgeable guides very familiar with the area. Anyone with an interest is invited to attend, and the day is suitable for people of all ages and abilities. Participants need to bring suitable clothing, footwear and food, and be prepared for some walking off tracks. The day starts at Peach Tree Picnic Area in Chichester State Forest at 9.00 am on Sunday 7 April finishing by mid afternoon. For more information, please contact Martin Fallding on T 6571 1208 E info@calli.com.au Please RSVP to Martin by Wednesday 3 April if possible to help with organisation on the day. The National Parks Association is also conducting Koala surveys in this area the following weekend 13/14 April 2019. Contact John Simpson if you would like more information at hunter–activities@npansw.org.au or call his mobile 0400 364 080. All welcome to explore the fascinating world of Opals with Toby Solomon at the CWA Hall, Dowling Street Dungog. Sustainable Spotlight on Dungog at the James Theatre, Sunday, May 26, 3 pm. This PechaKucha style event will showcase just how Dungog is paving the way to the future with innovative best practices. Join us afterwards for nibbles and tastings from local produce. In early June there will be an evening of star gazing at the Trevallyn Observatory. Throughout July there will be a range of activities supporting Single Use Plastic Free Dungog. There will be a number of events around the Shire celebrating National Science week from 10-18 August. Events will be posted on the Facebook page as they are finalised. PAWSH is supported by Inspiring Australia and the NSW Government.